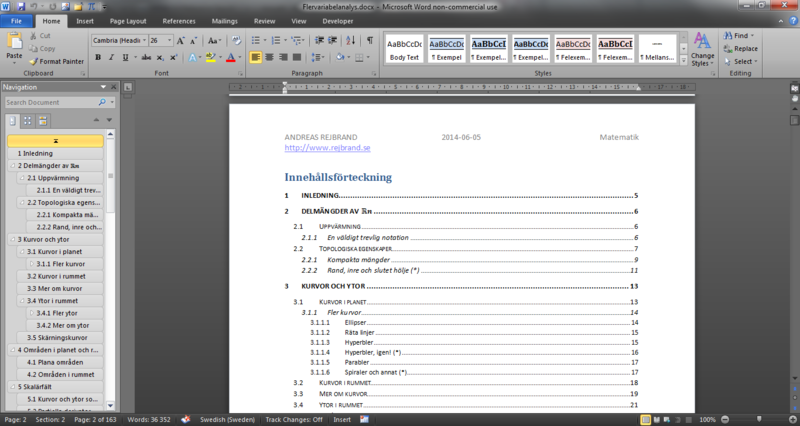 In Microsoft Word it is very easy to let the software number your headings automatically. I always use heading numbering in articles and books, and one particular example was given in a previous post. 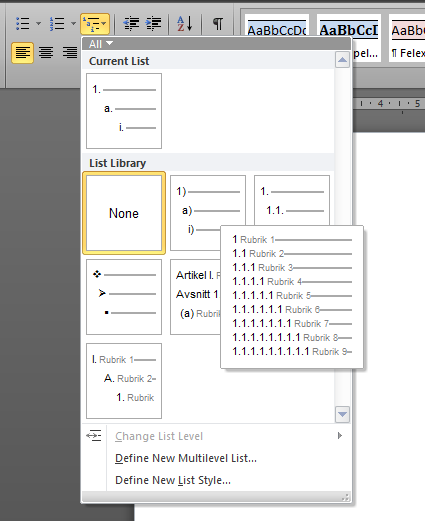 To setup heading numbering, put the caret somewhere inside the first Heading 1 of your document and select one of the heading numbering styles from the List Library in the popup menu of the Multilevel List button in the Paragraph group on the Home tab of the ribbon. The numbering is really automatic (of course), so if you add a heading somewhere in the middle of the document, the numbering of the succeeding headings in the document will be updated automatically. Although this works very well in simple cases, there are limitations. For example, there is no natural way to use different numbering styles in different parts of the text. In particular, there is no natural way to use a different numbering style for the appendices. However, there is an unnatural way of accomplishing this, as detailed on page 17 of my report .